University of Bahrain eLearning Centre officially opened. 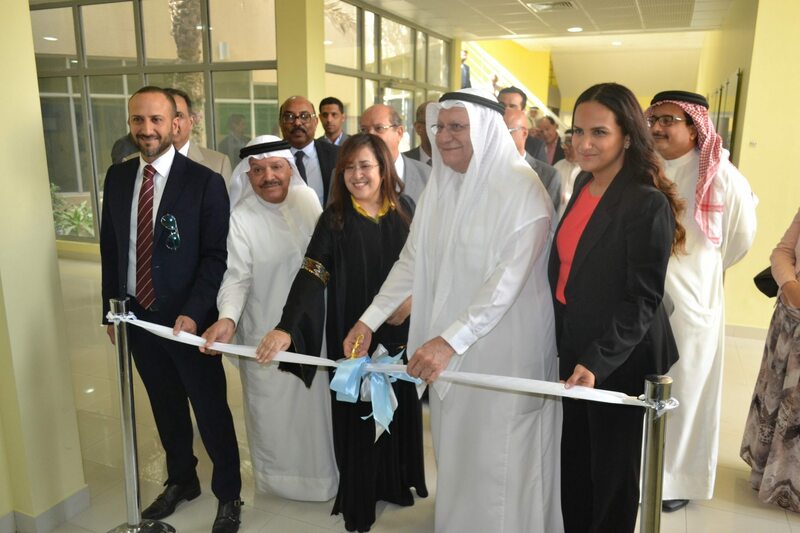 As part of its corporate social responsibility initiative “EMBRACE”, Almoayyed International Group has officially inaugurated the newly renovated University of Bahrain eLearning Centre. The new lab has been named by UOB: “Farouk Yousuf Almoayyed eLearning Lab” in honor of the group’s chairman and his continued support and commitment to the kingdom’s education sector. Mr.Farouk Yousuf Almoayyed, Chairman of Almoayyed International Group has officially opened the lab for student along with Dr. Eshaa Mohammed Hamad Al Khalifa – President Advisor, University of Bahrain, Dr. Ali Mansoor Naseer Al-Shehab, Vice President of Scientific Research, University of Bahrain, Mr. Mohammed Farouk Almoayyed – Vice Chairman, Almoayyed International Group and Mrs.Hala Farouk Almoayyed –Director, Almoayyed International Group and other officials. Next articleBahrain Wins Its First Asian Wrestling Gold Medal!